The Volkswagen Golf GTI has been around for 30 years now, with the first one introduced in 1976, two years after the Volkswagen Golf was first introduced in 1970. To celebrate the occasion, Volkswagen has released a special edition Volkswagen Golf GTI Edition 30. So what’s different with the Volkswagen Golf GTI Edition 30? You get one extra horsepower for every year the GTI has existed. The 2.0 litre turbo FSI engine has been tweaked to deliver 230 horsepower, which is 30 more than the standard GTI’s 200 horses. 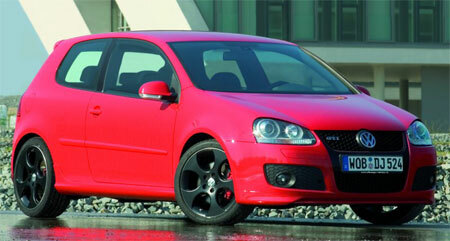 The bodykit for the Volkswagen Golf GTI Edition 30 also includes new 18″ flat black rims. These rims are of a similiar design to the Golf GTI’s Detroit alloy rims, painted a different colour of course. 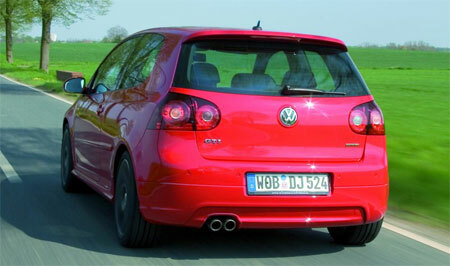 The car has also been lowered slightly, and the brake lights are of a darker shade of red than the Golf GTI’s. Of course, there’s plaques with Edition 30 all around the car, as what is a special edition without special insignia identifying it?